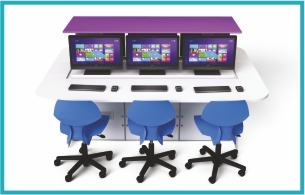 Classrooms, offices, social spaces or ICT suites. Press the up button and the central mechanism rises to reveal an iMac, All in One PC or Monitor for each seat. 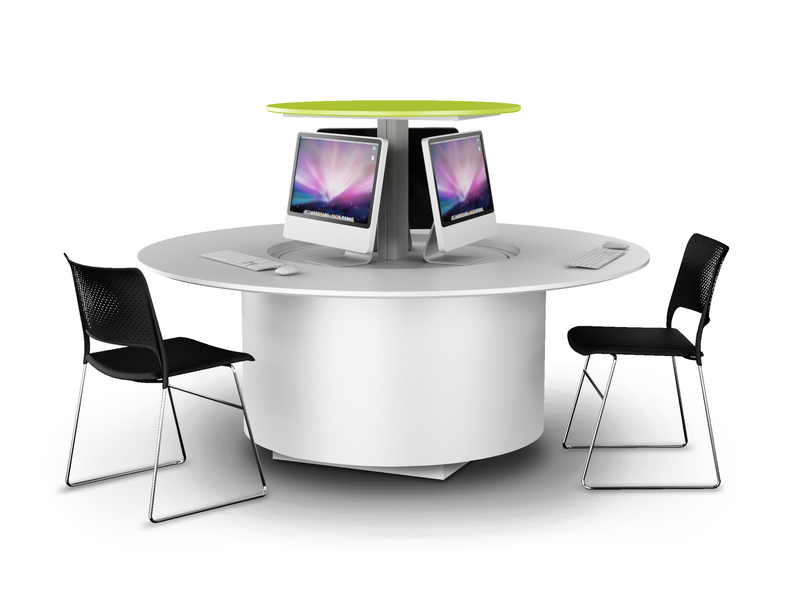 Press the down button and everything is hidden away, including keyboard, mouse & cables leaving a clear table. 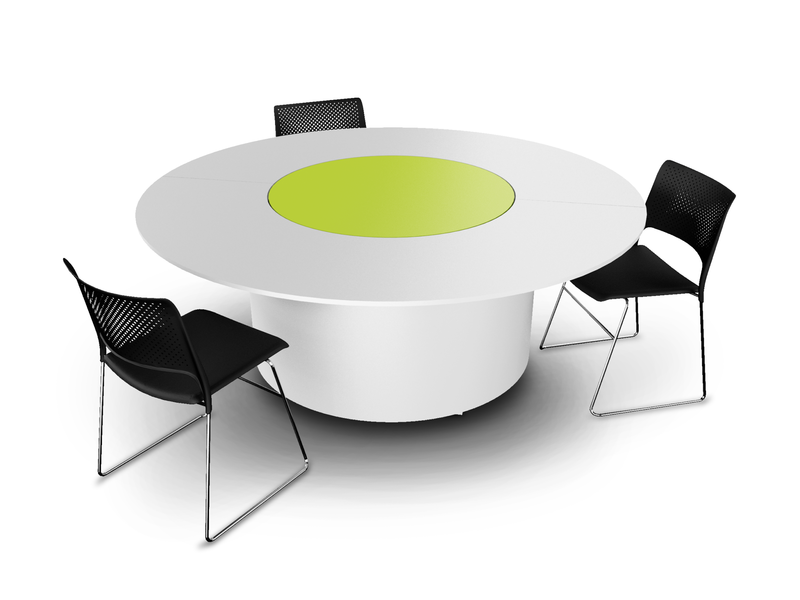 The table is available in circular or rectangular shapes, several sizes and a variety of colours.